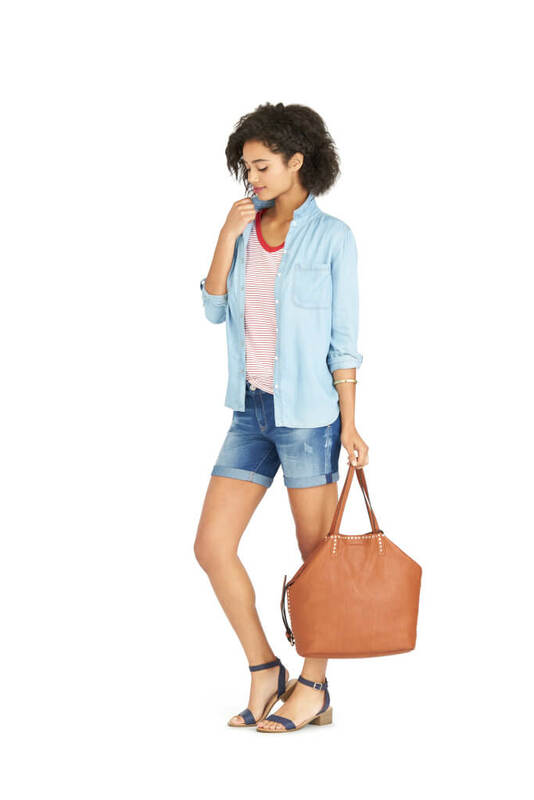 Denim shorts are the ultimate summer go-to look, but midway through the season… we’re style struggling. Instead of reaching for the same outfit, day after day, here are 9 news ways to reinvent your favorite denim cutoffs. The secret to refreshing your weekend uniform? Let your accessories do the work. Upgrade your favorite bright tee with a weighted pendant or rhinestone bib necklace. Or, party it up with piles of bangles that deliver a pop of personal style without weighing you down. Stylist Tip: Our favorite d’orsay flat has finally embraced a summer palette. If you want to keep your accessories toned down, turn it up with this printed, pointed flat. For those planning to root (root, root) for the home team, denim shorts under a lightweight sweatshirt can show off your sporty side while staying cute in the stadium. Look for hoodies that are playful and offer a shape you can wear through overtime. Stylist Tip: Keep it classic head to toe with a pair of poppy canvas sneaks. We’re loving the throwbacks to old-school playground favorites—now in adult sizes. Balance the rugged, loved-in look of denim shorts with light, ethereal pieces. This summer, we’re pairing flowing tops and soft details—think crochet, eyelet and lace—under airy layers that catch the breeze. Stylist Tip: Don’t be afraid to mix and match fabrics, just remember to keep it balanced. Look for feminine textures in surprising places like trims, cut-outs and panels to help along the way. No beach trip on the books? No problem. Channel the vacation spirit and beachy bohemian vibe with airy tunics in exotic prints. Tunics can also act as lightweight cardigans, which come in handy when afternoon activities start to extend into the evening. 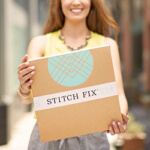 Stylist Tip: Having a Gidget moment? 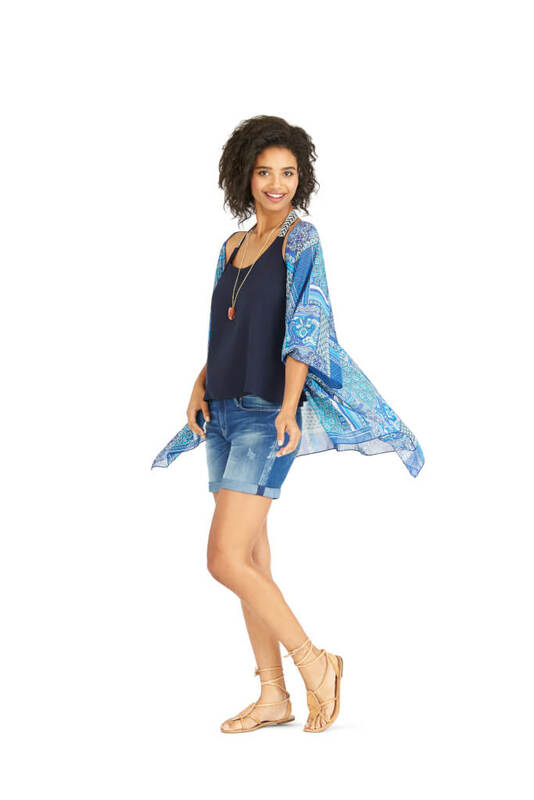 Wear your shorter jean shorts under a tunic for a beach-girl bloomer look. It’s tried and true, and tried again: denim on denim. This classic duo extends into summer with jean shorts and a lightweight chambray button-up. Roll up the sleeves and leave it open, exposing your favorite tee, for a ‘90s-inspired look. It’s back in, trust us! Stylist Tip: This is a great piece for après swim, too! Find a spot in the shade with the chambray popped over your bikini for a chilled-out beach look. Wear a top that speaks for itself. Be that girl in a bold color or strong graphic. It’ll give your look energy and instantly revive your favorite denim without being excessive. Stylist Tip: Complement your scoop neckline with a necklace that lays flat against your chest and hits right above the top seam. If wearing bolder prints, stick to a solid gold, silver or rose-gold piece. Be detail oriented! Pleats, textures, contrasting trims and even unexpected fabric choices can elevate your cutoffs. A simple black tank gets a major upgrade with a tonal floral print and fitted shape. 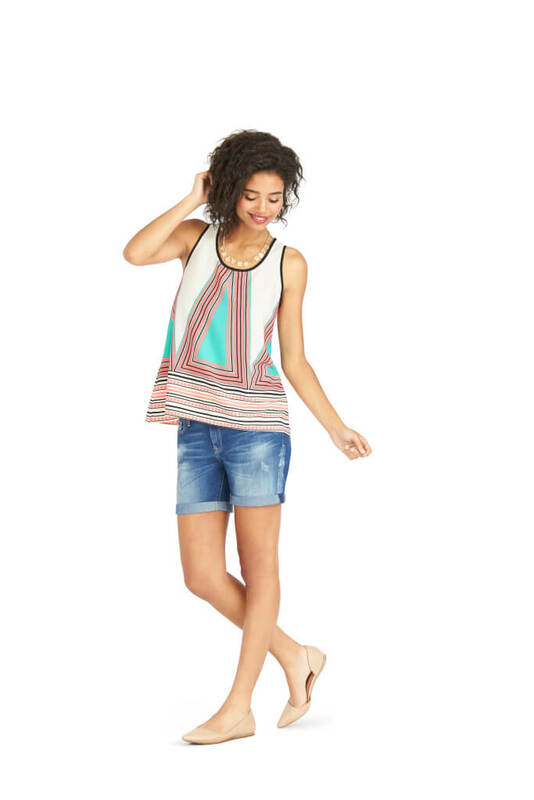 Stylist Tip: To give your favorite tank even more miles, experiment with layering. Just remember to keep one of the shapes fitted—like a classic white button-up—to avoid losing your shape. Blazers are a super-versatile piece you can throw on over almost anything, from vintage tees to breezy peasant tops. It quickly adds definition, shape and refinement to your casual cutoffs. Stylist Tip: This is the perfect time to try out summer’s ankle-strap sandals. The height gives you just the right amount of lift and the illusion of longer legs while the elegant strap complements a blazer’s sophistication. Show your tougher side… of style that is. When certain occasions call for a daring look, let your shorts mellow out the heavier, edgier pieces. Lightweight bombers and cropped army jackets are the perfect standalone piece to pair with your shorts..
Stylist Tip: Too hot out for a jacket? Add edge with gladiator sandals in bold snakeskin or flats accented with studs. Want to update your denim shorts looks? Schedule a Fix & ask your Stylist for any of the trends here.